These accessible yet sophisticated essays on modern life are so astute, you'll think the author has been hiding in your closet. - O Magazine on "Book of Days"
Essayist Emily Fox Gordon is the author of four books, Mockingbird Years: A Life in and Out of Therapy (a New York Times Notable Book) Are You Happy? A Childhood Remembered (a New York Times Editor's Choice), It Will Come To Me (a novel) and Book of Days: Personal Essays (a New York Times Editor's Choice). Her essays appear in Ploughshares, The New York Times, Boulevard, Salmagundi, The American Scholar and Southwest Review. Gordon has earned two Pushcart Prizes. Her work appears in Best American Essays 2014 and several editions of Anchor Essay Annual. Gordon was named a Guggenheim Fellow in 2014. 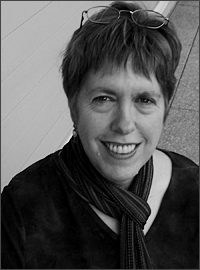 She teaches workshops on personal essay around the country at such institutions as Columbia University, Rutgers, Rice University, the Creative Writing Program at the University of Houston, The New School, the University of Wyoming . Gordon maintains a 20-year-commitment to Houston's writing community through her classes at Inprint -- a remarkable non-profit organization advancing writing and reading through a full and varied slate of classes, readings, and outreach activities.